Hello there lovelies! Its Monday, Thanksgiving is next week and I'm finally starting to feel the holiday bug. It's been cold out, and we even saw our first snowfall up here in the north. One of the things that really gets me prepared for all the cold days is a nice cup of tea. I am kind of a sucker for holiday teas.All of the aromas of spices just makes me warm to the core. Thinking about all of the options out there I thought, there has got to be some I never tried because they don't carry them in my area. And like that the Holiday Tea Swap was born! This will be a fun way to swap and try new teas as well as make a new friend. 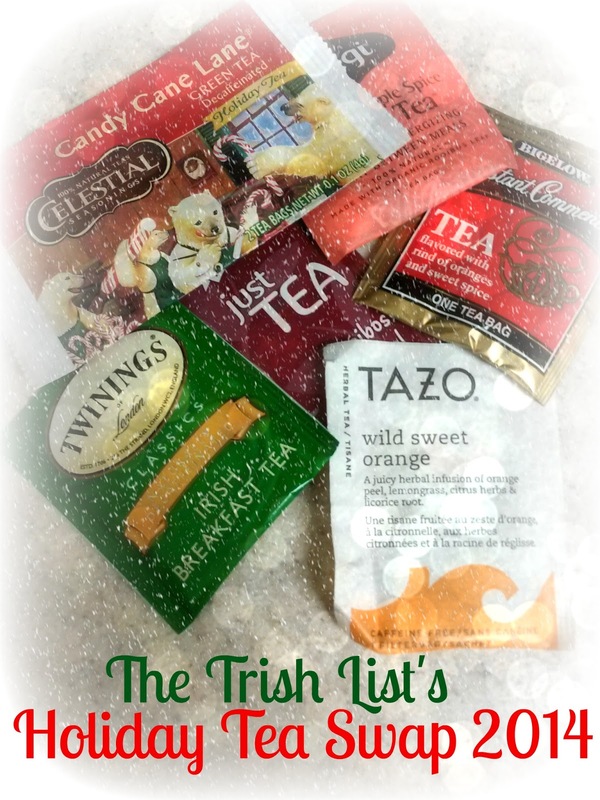 Send a cute holiday card along with some of your favorite teas and viola! All of your tea wishes are met! ~ Sign ups start today and will run through November 30th. I will randomly draw a name for everyone (You may not get the same person you are sending to) and notify you on December 1st. ~ Please send a minimum of 3 teas to your swap buddy. This is meant to be a swap to experiment with new teas so I am not asking you to send boxes of tea. Just send a few new teas for your buddy to try out. ~Because you are not sending out boxes of teas this should be easy to get shipped out. Please have your teas send out no later than December 10th. ~I will add a link up for everyone to link up a blog post about their swap so we can all see what everyone got to sample! This linkup will go live on Monday December 22nd. ~You do not need to be a blogger to participate and this is open internationally! I really hope you will participate! This is going to be so much fun! I am also apart of a wonderful giveaway this week! What better way to get in the mood for the holidays then to win some CASH?! Here's your chance. Enter below. I will also be posting ANOTHER giveaway I am apart of tomorrow because silly me didn't realize both of these giveaways would be happening the same week! Lots of fun ahead! See you tomorrow! 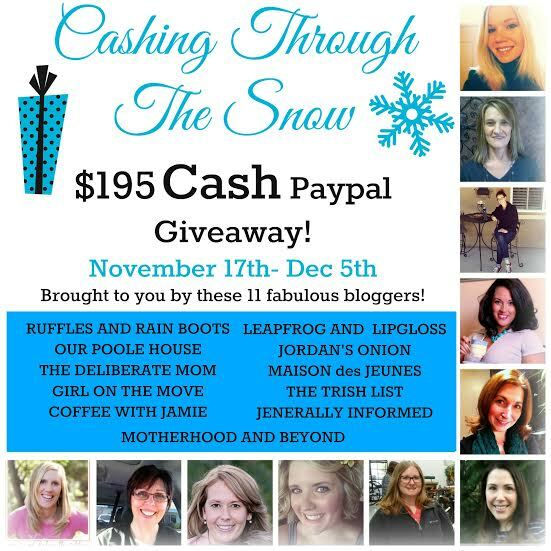 Don't forget to visit the beautiful ladies who brought you this giveaway! This is such a good swap idea! I would spend it on christmas gifts!! I just started trying green tea from Lipton but I always love a cup of raspberry tea. So good if it's served with ice! I use the cash for my hearing aid! :) I need to get ready for my CNA classes! Thank you for the giveaway! Love this idea and as tea is my main form of caffeine I couldn't pass it up! Thanks for a great idea! I would pay for all those Christmas gifts!!! I'd use the money to buy a new vacuum cleaner.